Take a look at this keychain, it's standing on a dark purple surface, it's a great visual to promote a classy or elegant design! All you have to do is drag n' drop a jpeg or png image file over the interface, we will merge it in just seconds with the keychain. 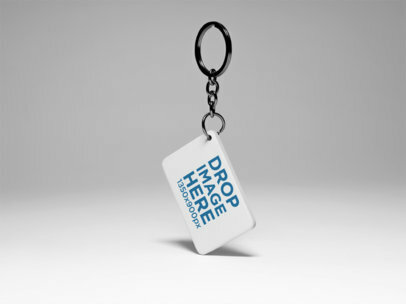 If your image is not exactly the keychain's resolution, the cropper tool will help you to accommodate it. 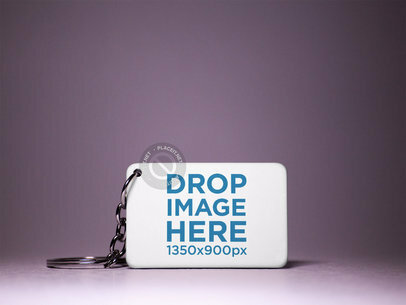 Try another Keychain Mockup here! 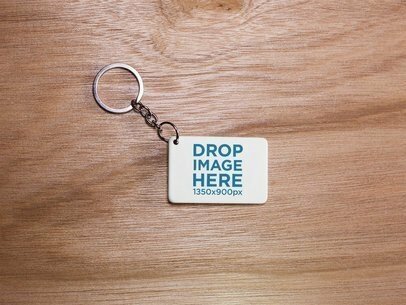 Check out this mockup featuring a keychain lying on a wooden surface, isn't it a gorgeous visual? Start using it now! It'll help your business grow. All you have to do is drag-and-drop a jpeg or png image file of your design on the interface. That's right, that's all, after a couple of seconds you will see the finished image. How great is this? Try another Keychian Mockup here! 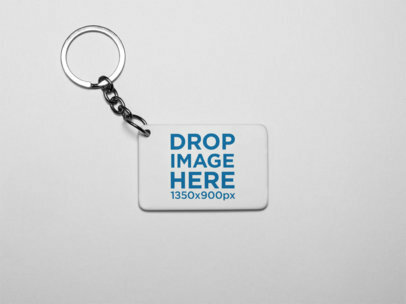 Take a look at this simple and powerful mockup of a small keychain lying on a solid color surface, isn't it a beautiful image? Start using it now! Choose a background color using the menu on the right side of this page, then drag n' drop your design image file on the interface. The menu above will show you similar templates to this one!